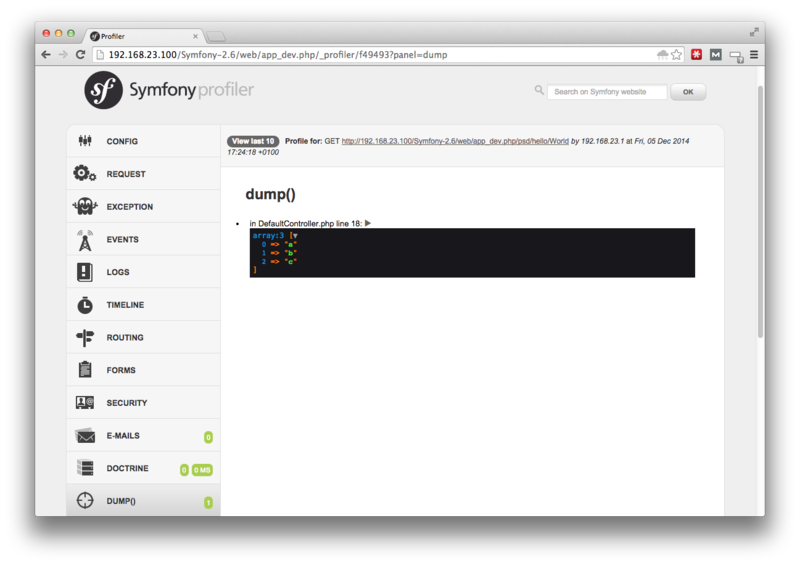 The VarDumper Symfony component has been released with Symfony 2.6. Details about its history can be found on Github. Now why is a new var dump variant such a big deal? It is available in any layer of the application, including controllers, services and the twig template engine. It has serveral advanced features like partial or shallow dumps of object trees. Anyone who ever tried var_dump for a doctrine entity knows why this is valuable. 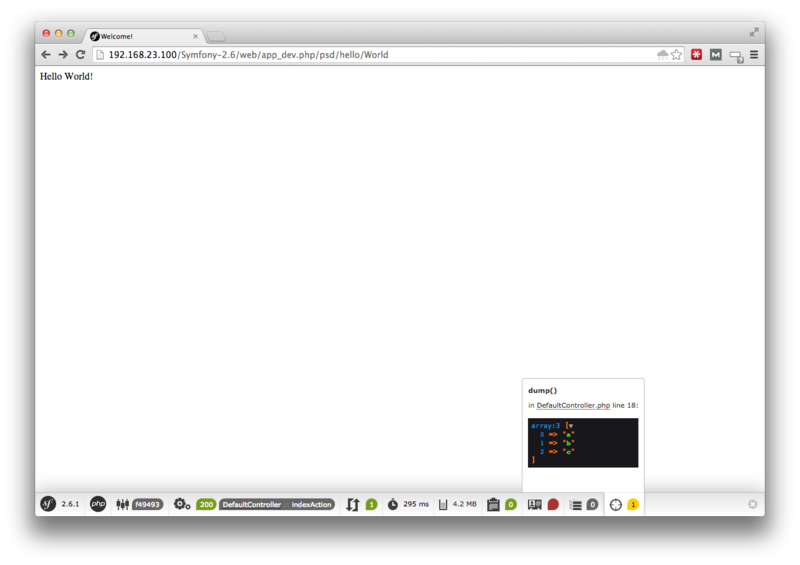 It’s output is nicely integrated into the Web Debug Toolbar and into the Symfony Profiler, see screenshots below.